Father Jonah Saves the Day was made with Construct 2, which is luckily getting better with each new release, and can be played on Kongregate, Game Jolt and Newgrounds. It's also been featured on IndieGames.com and Retro Gamer (issue 118, page 106)! I did this over a couple of days for MiniLD #34, hosted by the mighty Sophie Houlden. She chose 'Aspect' as the theme and gave a list of resolutions to choose from, and I ended up opting for 128x128. 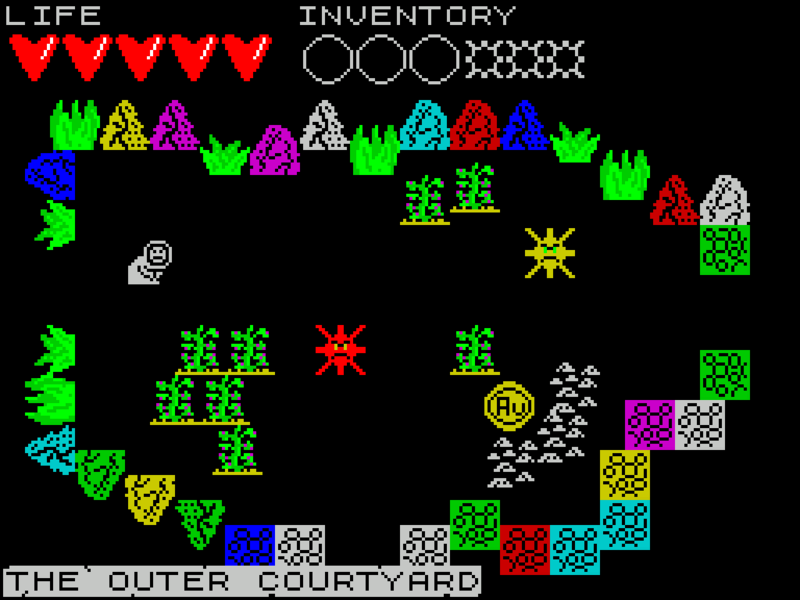 I once again used the ZX Spectrum's palette, manually bumped up the screen size 3x to 384x384 and used Construct 2 to assemble the game. As with the previous Ludum Dare 23, I had lots of fun building this little game and I hope you guys and gals will enjoy it as well. 16KpixelTroid can be played on Kongregate. My first compo and my first HTML5 game! I did this for Ludum Dare 23, with the main theme for the 48-hour competition being Tiny World. And the world I built is so tiny it entirely fits inside a 480x480 pixel screen! The game was also a testbed for Construct 2: I didn't end up liking the program that much, but with a little more work from Scirra it could actually become quite useful. Working on a rush was fun, if very difficult, and as a result the game has no animation, no sound, no ending screen and it also suffers from a lack of playtesting. In other words, it can be bloody hard! I obviously went for a ZX Spectrum-inspired look and the game uses the actual Spectrum's colour palette, albeit without the infamous attribute clash. Tiny the Adventurer can currently be played over at Kongregate. I had been studying ActionScript 3 and Flixel for a month or so, but it was an 'on and off' affair, and so I thought I needed a clear target to get serious with it. So I 'self-commissioned' this game to myself, while actually making it for a friend (the aforementioned friend works as an artisan, of course). And... boom! I made this in a week (there are just 5 levels, though! 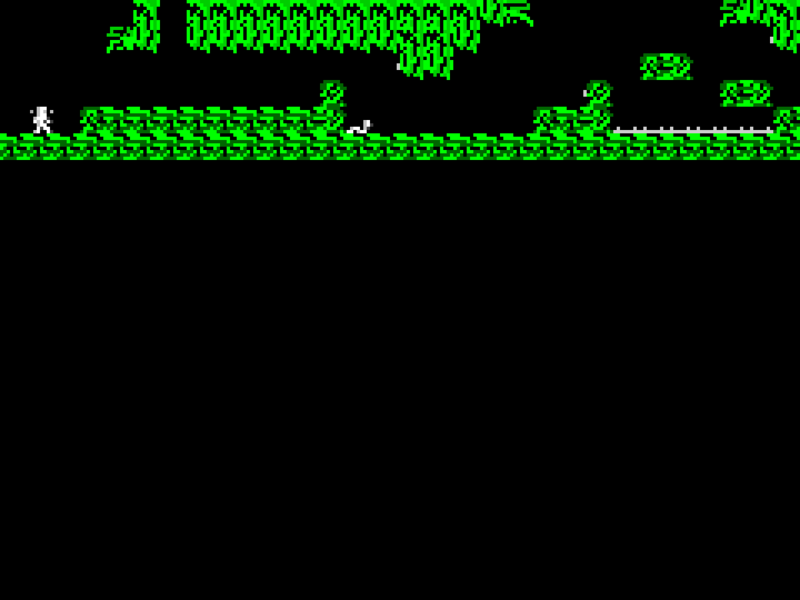 ), aiming for Game Boy Color-style graphics (only overlays and transparencies aren't GBC-compliant) and basic sound. 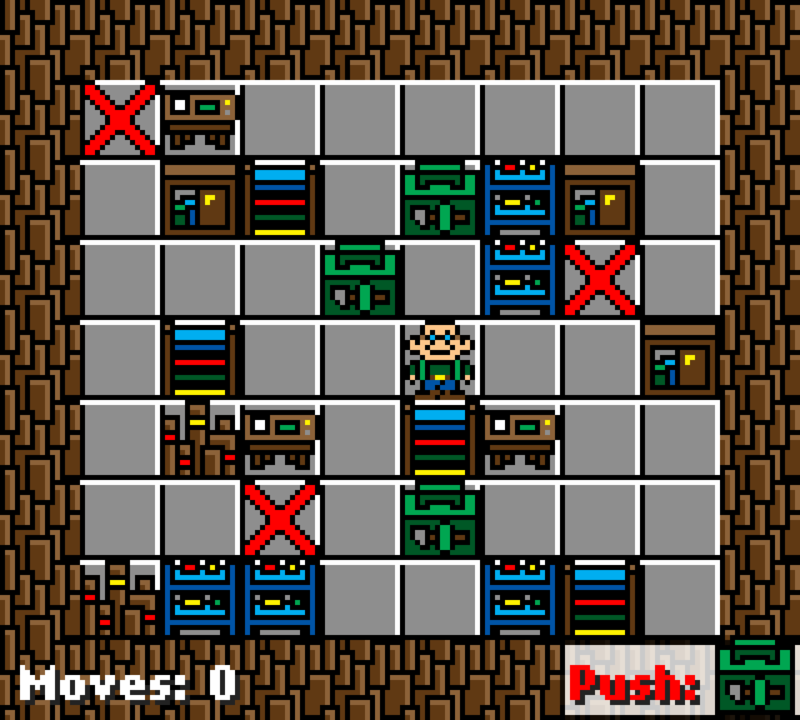 The Artisan can currently be played on Kongregate and Newgrounds. 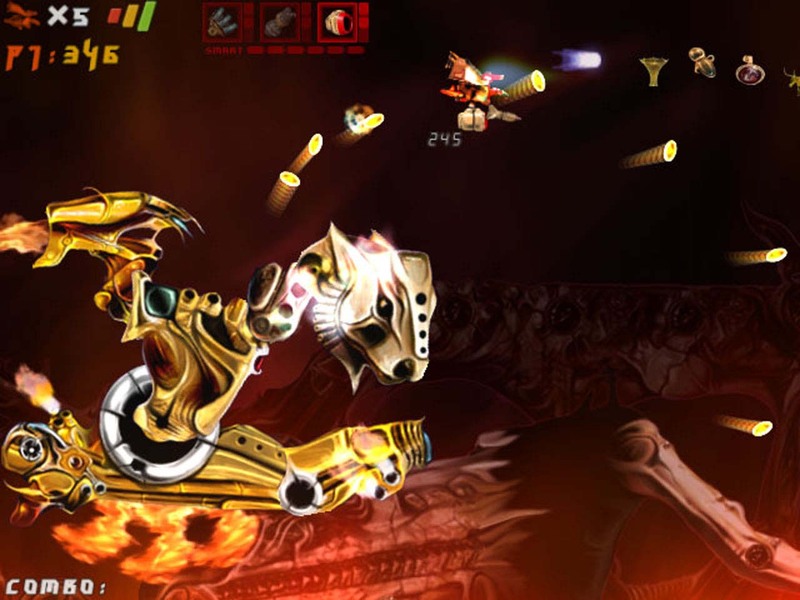 I worked on this commercial shoot'em up as a game designer and scenario writer. The game was developed by the Atlanteq team (which I was part of), was published in Europe and Asia and achieved quite a lot of favorable reviews. It's still regarded as one of the last great shooters by fans of the genre, and it actually stood the test of time quite well!